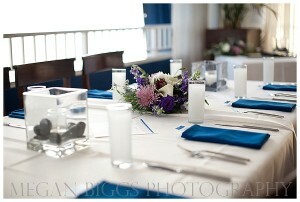 The best restaurant in St. Thomas is also one of the premier wedding reception venues. 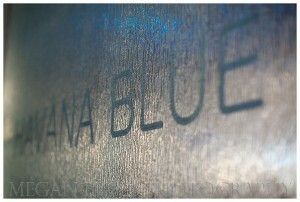 Havana Blue, located on Morningstar Beach on the South Shore, sits on the property of Marriott Frenchman’s Reef Resort. Caribbean fusion menu anywhere in the islands. For small wedding parties, your reception guests can dine as regular patrons and order off the Latin American – Caribbean fus ion menu. 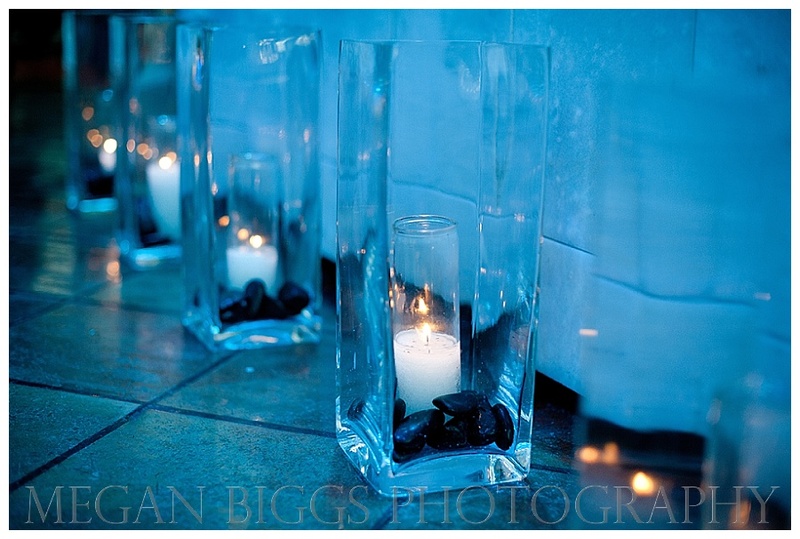 You can also choose a more selective menu package for your wedding reception. The staff of chefs and culinary artists will work with you to create a menu that is distinctly you. The menu incorporates incredibly fresh and local fish and lobster for seafood lovers. A well-stocked bar with ultra, top-shelf liquor is staffed by experienced bartenders ready to make your “usual” or island-inspired cocktails. 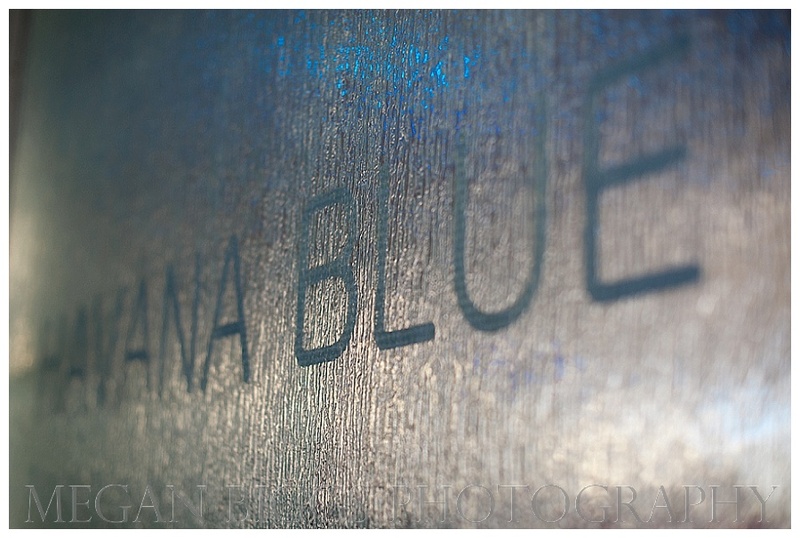 Havana Blue also offers a truly amazing beach reception option, right on the waterside at Morningstar Beach. 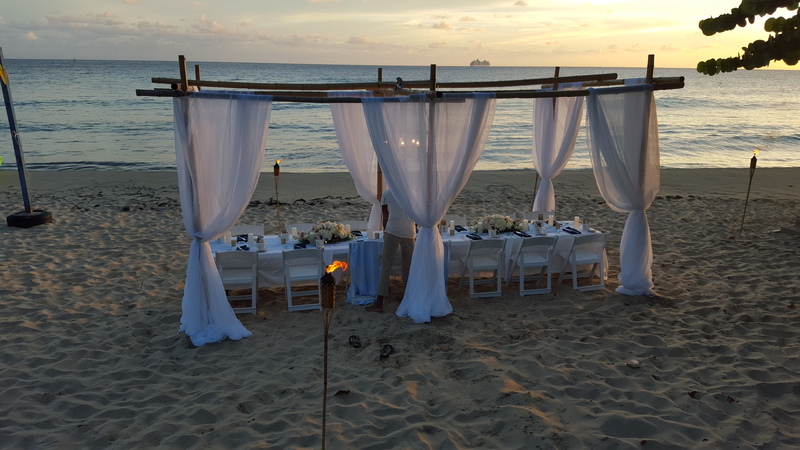 Bamboo arches, flowing linens, tiki torches and the best food on the island served in a glorious setting. Have an exclusive and private beach reception and party on Morningstar Beach. With the beach just steps away from Havana Blue, a waterside dinner is an intimate and unique way to spend time with your family and friends after your destination wedding. Havana Blue’s chefs and dedicated wait staff will cater to you and provide unparalleled service while you dine on Morningstar Beach. And you get to enjoy the best St. Thomas has to offer with your toes nestle in the sand and waves dancing nearby. The full menu and bar are accessible for the ultimate destination wedding reception venue. Getting to Havana Blue is a breeze. Located by the beach at Marriott Frenchman’s & Morningstar Beach, the resort is easy to find. Also, transportation is simple because a taxi stand operates just up from the beach. So, if you and your guests decide to dance and drink into the night, you have an easily accessible and safe ride back to your villa after the wedding reception.